I can now launch, quit, relaunch, requit, re-relaunch, home, resume, sleep, resume, and quit the 3DS Framework, over and over, without it crashing!! Turns out, I had "gfxInitDefault();" occurring twice. Such is the chaos of my framework, took me bloomin' ages to find the bug. So far, the following is happening. 1. The "Framework" is loading, and quitting, as it should be. Albeit nothing's shown onscreen yet. 2. It's apparently loading the images, (It's definitely finding the images, and I know it's reading the data) but the images are currently only loading into main-memory. I next need to move the images over to video-ram, so I can actually draw them onscreen. 3. It can draw debug text, so I know for sure that it's still running. 4. I can hold any of the buttons and have it go "BUTTON-NAME!!" onto the bottom screen via the debug text. 5. The circle-pad is being all nice and analoguey. .. And that's all it's doing! Be aware, however, that this isn't just "Jay spent a day managing to load a picture but not actually show it." This is me rewriting bits of my Framework so that it works in a suitable manner. 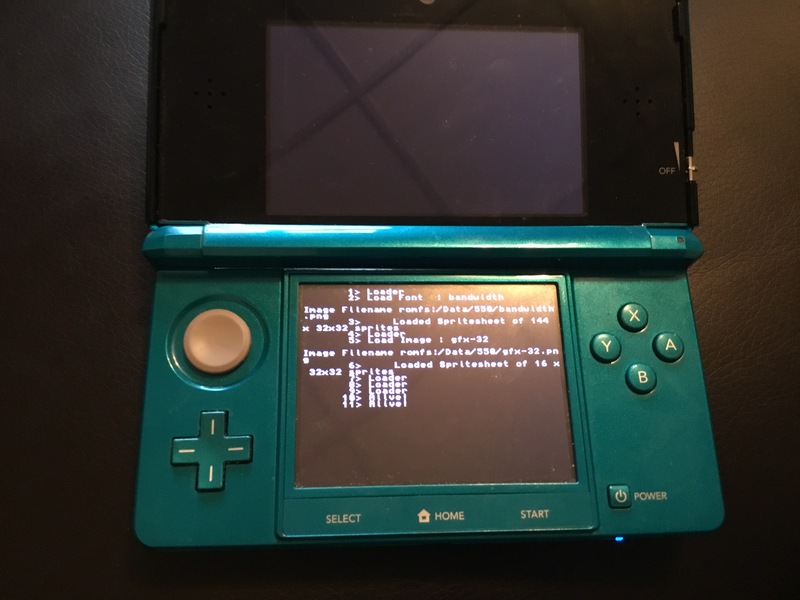 This is, for all intents and purposes, my framework running on the 3DS, albeit in a way that you can't see it happening!! 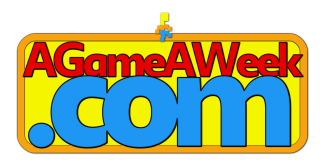 It's running through the loading screen (without displaying it) and is loading spritesheets, chopping them into sprites, and adding transparency where needed. The menu's are in place, the buttons all work. It *should* all be functioning properly underneath the black screen. Only working drawing routines will let me know for sure!